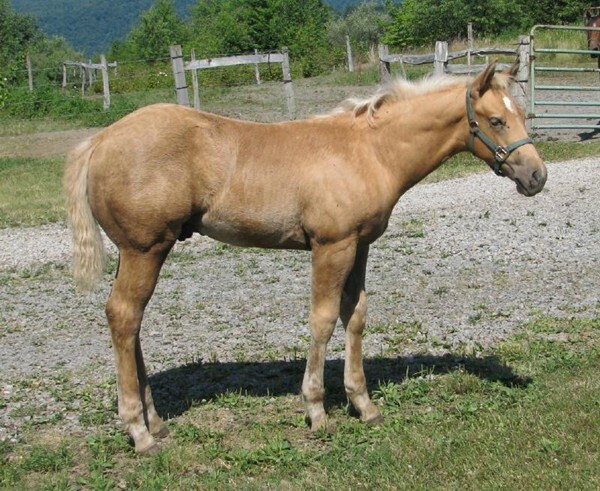 This is our first foal of 2009 born on April 14 and she is a dark gold palomino. She came a few weeks early but it doesn't seem to have slowed her down any. I believe we are going to call her Tyra. 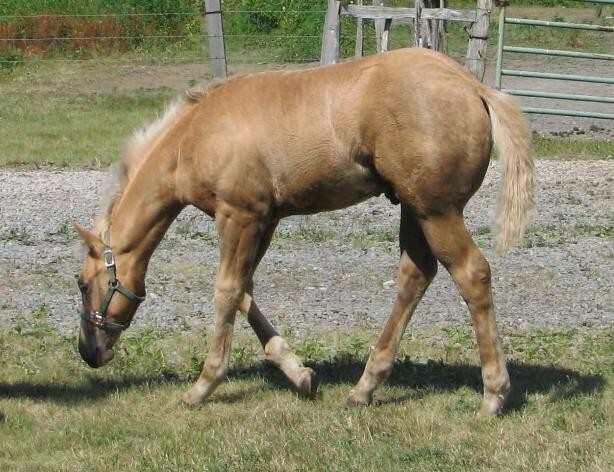 She is out of my mare Tyrees Classy Lady and Hombre. She is eligible for the Incentive Fund. She is for sale. 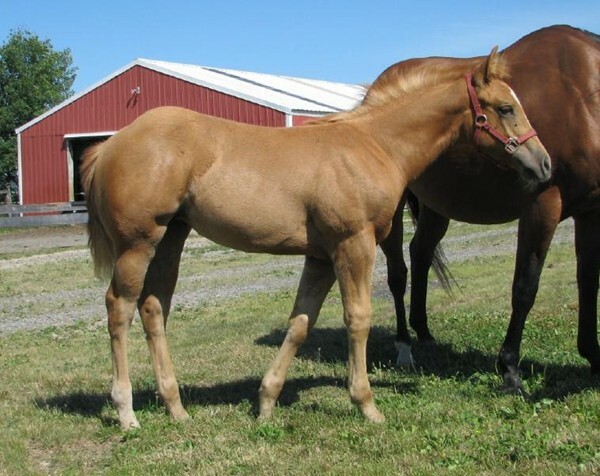 Dam is a Pitzer Ranch bred mare that has 8 AQHA Champions on her 4 generation pedigree. 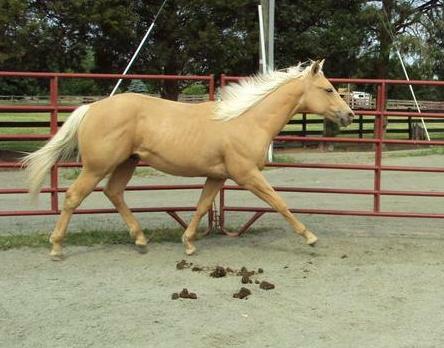 See her on my Horses For Sale page as well as My Mares page. 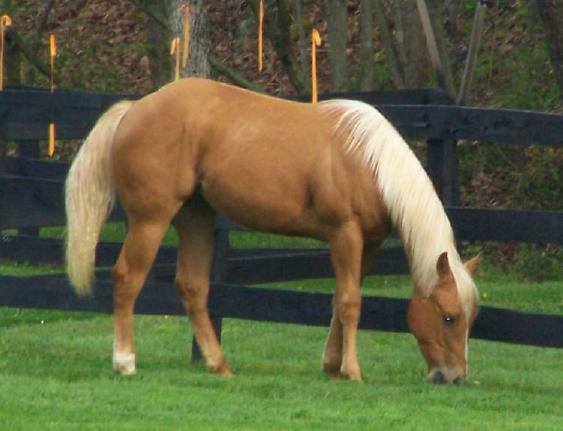 UPDATE: I have tested Tyra for the cream gene to determine if she is palomino or not and the results are in.....she is palomino! Click HERE to see a photo album with lots of pics. Pic at right taken at 2 days, the one right below at 6 weeks and the 2nd one down on right at 3 months. Next two pics taken 8/25/09 at 4 months. NEW PICS(bottom two) sent by new owner taken at 1 yr old. Wow...can we say GORGEOUS! See new pics below on right at a year old! 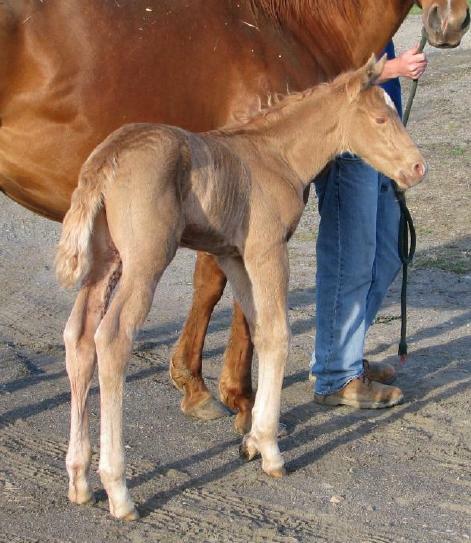 Our third and last foal of 2009 has arrived. 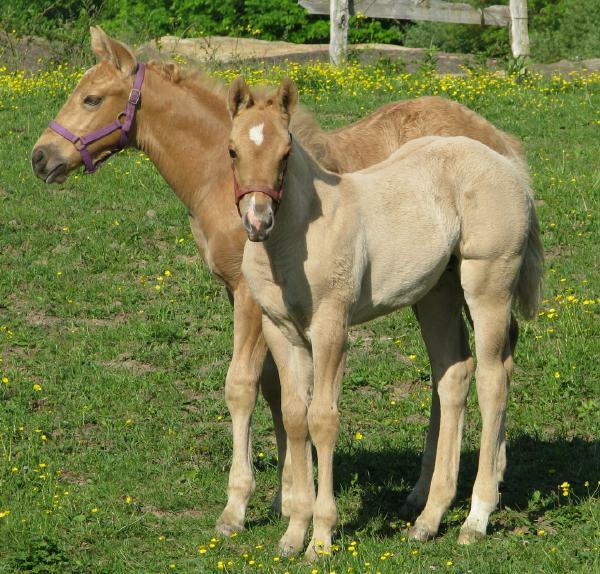 Skippas Copper Top foaled a pretty dunalino filly on April 21st. 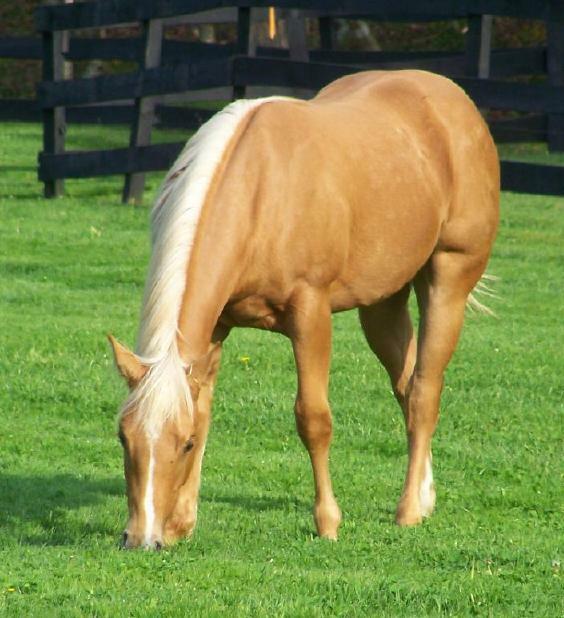 She has tons of pretty and color to boot and let's not forget personality. 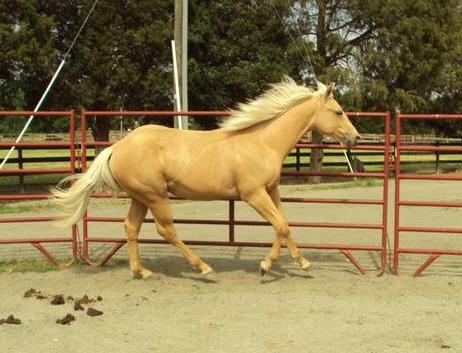 She is for sale and is eligible for the Incentive Fund. First two pics taken at 4 days old, the next ones at 4 weeks and the bottom right at not quite 4 months. Two pics below taken at 1 yr old...what a big beautiful boy he has grown to be!